Honey really is a miracle product – not only is it highly nutritious, loaded with nutrients and antioxidants, it’s brilliant for our skin and hair. It’s anti-inflammatory and antibacterial compounds decrease the appearance of scars and help with healing and tissue regeneration. 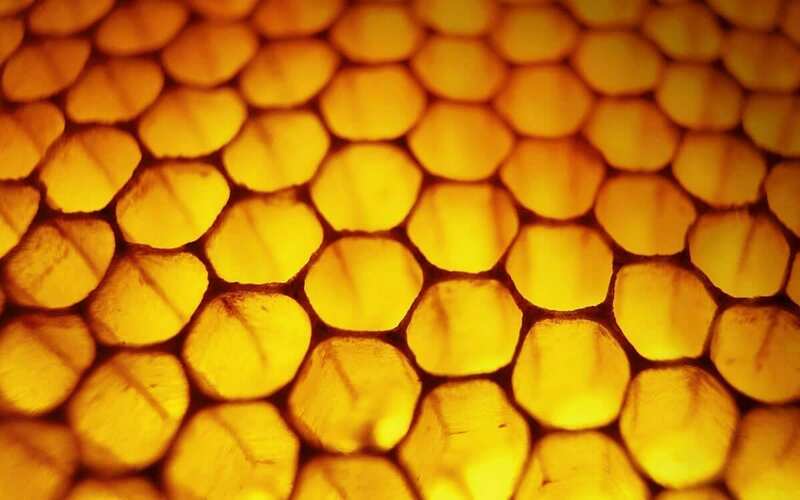 If you’re interested to read further into honey’s miraculous properties and how it can help us – getting rid of coughs, preventing allergies, zapping dandruff, easing insomnia and much more – read our blog on the “5 medicinal uses for honey”. Fed-up with dry and sensitive skin? Try this super gentle body cleanser, it’s only £10.00 for a full 500 ml for a gentle formulation wash, and it’s enriched with Manuka Honey. It’s suitable for your whole body and will help cleanse and moisturise dry, itchy and sensitive skin. This exquisite oil nourishes the skin and seals in moisture, leaving your skin glowingly soft and healthy looking. 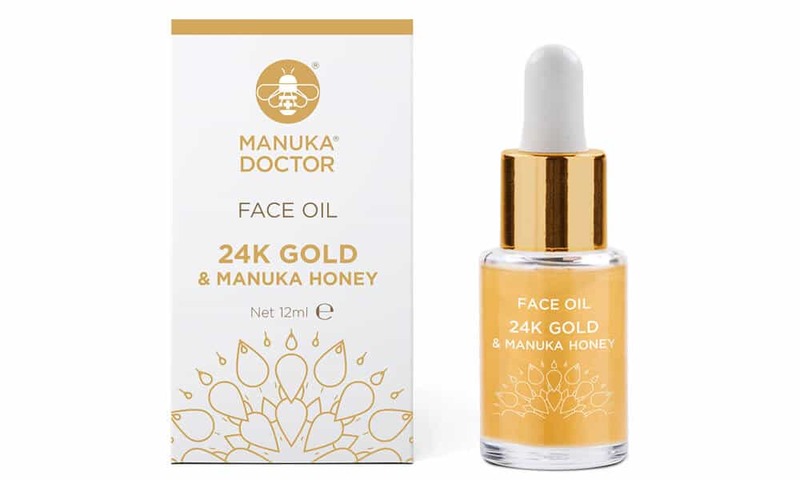 Formulated with 24K Gold, Manuka Honey and precious plant oils this luxurious facial oil visibly brightens, firms and hydrates whilst leaving skin naturally radiant. At £15.99 for 12 ml, it’s not a bad deal when you consider the beautifying benefits. An intense lifestyle, sports, sunshine, seawater, chlorine and everyday styling are just some of the reasons that make hair need everyday shampooing and care. Frequent shampooing, though, demands the right products. 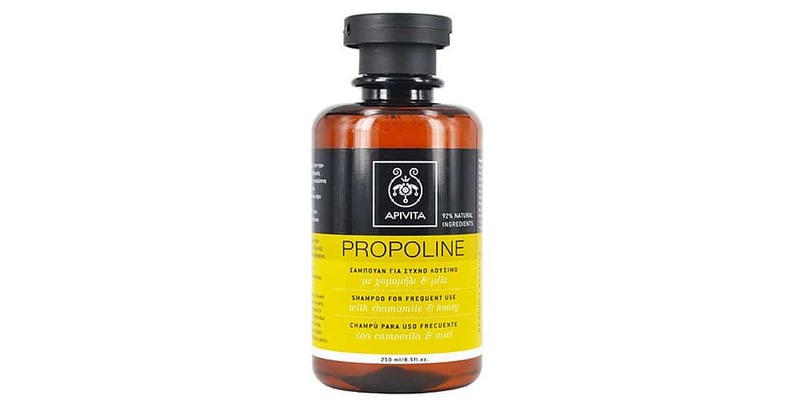 This Shampoo gently cleanses and protects the scalp from irritations thanks to its soothing and hydrating attributes. Key ingredients are chamomile, calendula, honey, lavender and geranium essential oil. On sale for £8.82 – 250ml. This little pot of gold comes in at £6.00 total. For such a small pot you may think it’s a rip off, but we think it’s worth every penny. Not only does the design reflect a real honey pot (cute! ), but it’s smoothing and hydrating qualities is what really seals the deal with this product. The animal friendly lip balm has a deliciously sweet scent and works to nourish lips, as well as beautifying them with a subtle golden shimmer. This is one of our all time favourites, featuring Community Trade Honey. It really doesn’t get much better than that!